Are you looking for a shopping experience that the whole family can enjoy? 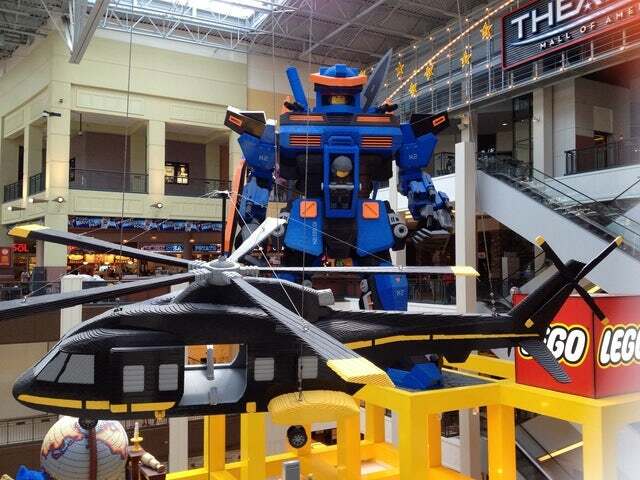 Then check out the Mall of America in Bloomington, Minnesota. The Mall of America is the largest mall in America and features a Lego Imagination Center, Sea Life Aquarium, Nickelodeon themed indoor theme park, and many restaurants including Rainforest Cafe, Bubba Gump Shrimp Company, and Johnny Rockets. Are you a self-confessed shop-a-holic? There is no better place in America to 'shop till you drop' than the Mall of America, the country's largest shopping mall located in Bloomington, Minnesota. The Mall of America has over 520 stores, 50 restaurants, and even an indoor theme park. Only 15 minutes from downtown Minneapolis, you can easily spend a weekend at the Mall of America on the shopping trip of your dreams. The Mall of America is home to the Sea Life Aquarium, Nickelodeon Theme Park, and Lego Imagination Center, making it a great choice for families as well. If you choose to leave the kids at home, your shopping trip at the Mall of America can begin with pampering at the many spas and salons on site. With over 50 restaurants, there are choices for every taste and budget. Why not stop in for a cocktail and some seafood at the Bubba Gump Shrimp Co., the famed restaurant of the legendary Forest Gump. If you don't want to head home right away, spend a night at the Radisson Blu Mall of America before starting all over again the next morning. The Mall of America offers visitors more shopping and attractions than any mall in America, and is visited annually by more people than any other shopping mall in the world. If you want the ultimate shopping experience, book your trip to the Mall of America in Bloomington, Minnesota today. To book your shopping adventure to the Mall of America, call us now!